Dry Tortugas approximately 100 years ago. Sooties, noddies, and where to find them. As the Caribbean’s emerald waters fell away below our seaplane, I had no idea what to expect from my visit to the Dry Tortugas, 70 miles west of Key West, Florida. Armed with binocs and my trusty green Audubon’s, the only pre-mobile Internet info I had on my destination was…’tortugas’ is Spanish for turtles; the doctor who set John Wilkes Booth’s broken leg was imprisoned at Fort Jefferson; you can see tropical marine life in three feet of water (good news for my irrational fears); and there are lots of birds. That last bit of knowledge was shared by a pilot with a gift for understatement. 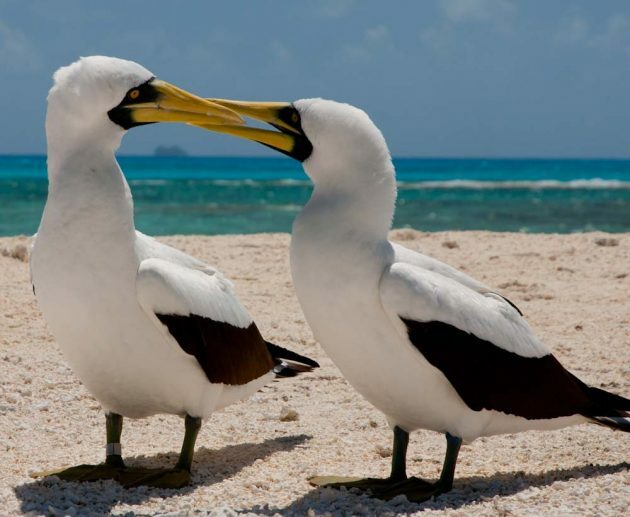 The Dry Tortugas National Park, seven bits of lands comprised of coral and sand, is home to seven nesting avian species, 40 winter visitors, and 250+ fly-through bird species during spring and fall migrations. When I stepped off at the seaplane beach you’d think that the massive brick structure of fort (one of the largest ever built in the US) that dominates Garden Key would be the first thing to catch my eye – nope. 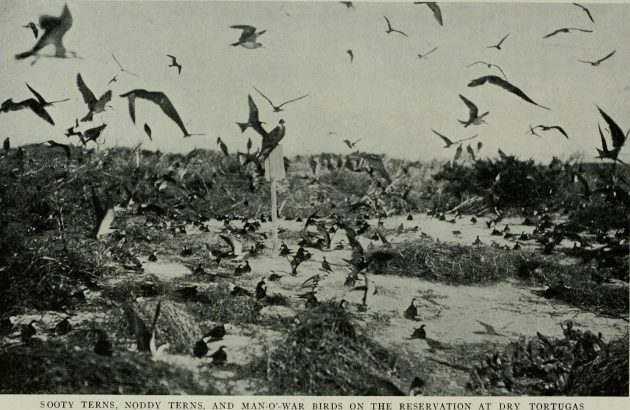 That distinction goes to the 80,000-100,000 Sooty Terns nesting across the spit of sand on Bush Key. Not only do they fill my field of vision, they create nature’s soundtrack for this national park. This particular bird (whom I had never even heard of before the trip) only comes to land a few times per year. 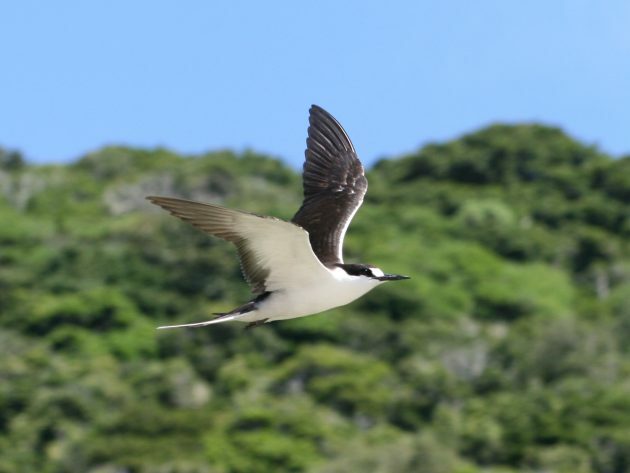 It spends its life flying or floating on ocean water, sometimes staying up to ten years between landfalls; earning it the additional moniker “Wideawake Tern.” Perhaps it’s fitting that Sooty should choose to nest with all its family on one of the most inaccessible national parks (for humans) in the world. Between February and September, Bush Key is ‘closed’ to human traffic. But actually you don’t need to go there to witness this breathtaking avian hangout. Garden Key is but a few yards away. Pull your eyes away from the rookery, and watch the surrounding waters. 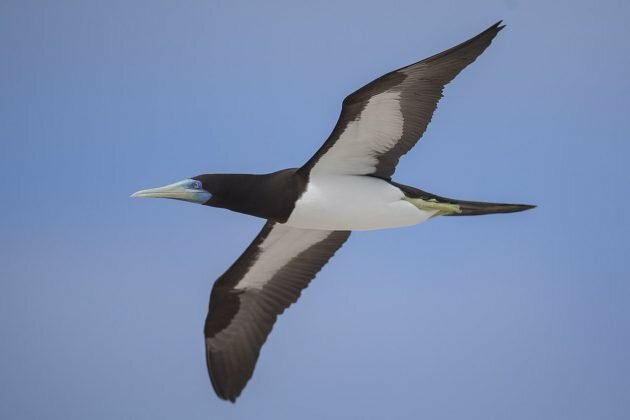 If you see a high-speed diagonal projectile plunging into the sea, it might just be a Masked Booby. 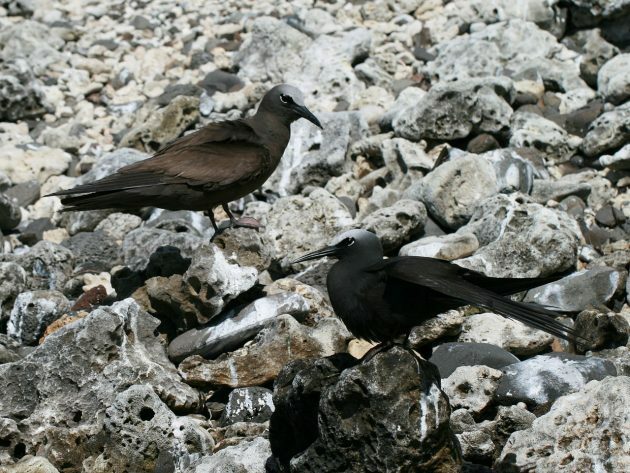 This hard-to-spot, large seabird is distinguished from the Brown Booby by its yellowish bill. The Tortugas are the only known continental US nesting spots for these guys. 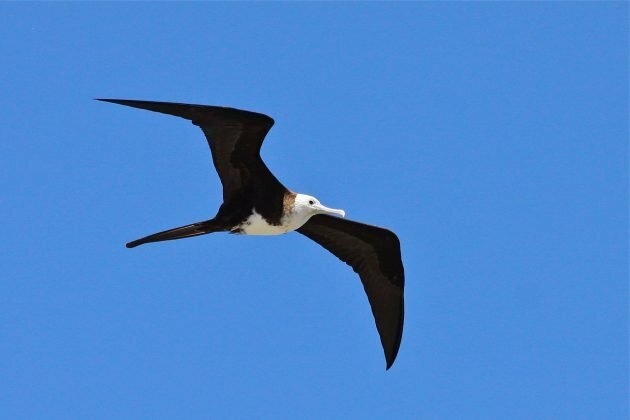 Did I mention that one star who circles the islands is the Magnificent Frigatebird? Look up. Seven to eight feet of wingspan on that bird! And, this is the only known US nesting site. Since I’m a guided tour nerd, I followed the ranger and heard fascinating stories from history. It was also a relief to be out of the tropical sun within the mysteriously cool walls and walkways of Fort Jefferson. For my return visit, camping is on the list. It’s seriously primitive – not even any fresh water on the island. Then I’ll have the chance to see a Caribbean Short-eared Owl, Golden and Hooded Warblers, a White-tailed Tropicbird, and maybe even a Red-footed Booby. And, I hear that the night sky is worth it! 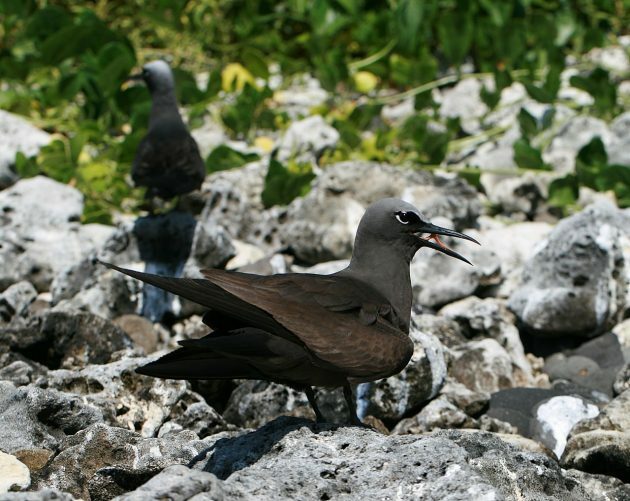 For more info – Dry Tortugas Bird Checklist.